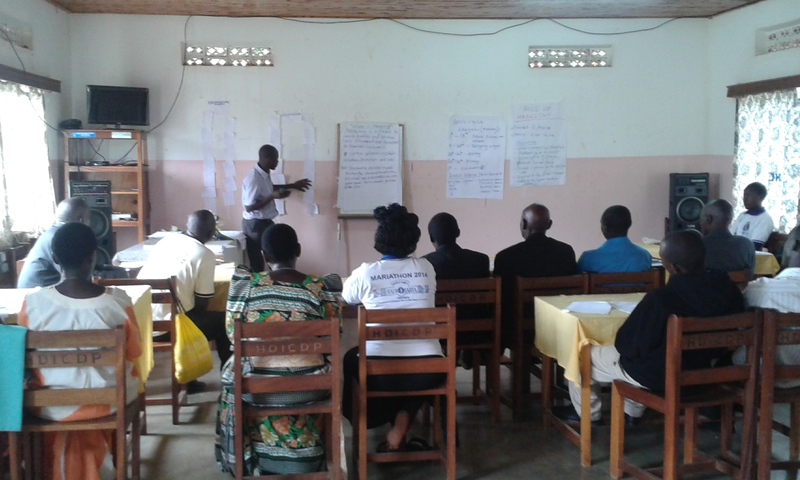 You are welcome to the Social Communication Department in Hoima Catholic Diocese. Below is a summary of the background, mission statement, structure, aims and objectives of the department, media activities as well as future plans. => The Community agents/ coordinators. • To provide a communications component to all pastoral activities, ministries and associations in the Diocese. • To create and develop an effective and efficient Diocesan communications network for the timely and immediate transfer of all important social as well as pastoral information to all stake-holders. • To create, develop and employ both traditional (cultural) as well as modern media so as to engage a multi-media approach in order to facilitate the process of social communication and integral evangelization of all community members. • To provide professional coverage, that is; in words and images for all important Diocesan and institutional events and functions. • To be a resource centre as well as an archive for all diocesan communication needs. For instance; religious books, church music, sacramentals, public address system and related services. • To create avenues for sensitization of all stake-holders and the entire community on media related facts like media education, ethical standards and media law. • To act as public relations office for the diocese. • To provide both the horizontal (community based) as well as vertical (hierarchical) communication network so as to avail the people of God at all levels with the important pastoral and social communication. With the above objectives in mind, it important to note that communications department is engaged in various media activities. These include: Radio Maria apostolate, a diocesan periodical bulletin known as; “Eka Yaitu”, a secretarial bureau, a Catholic book shop, a Christian religious shop or canteen and media education which involves workshops. 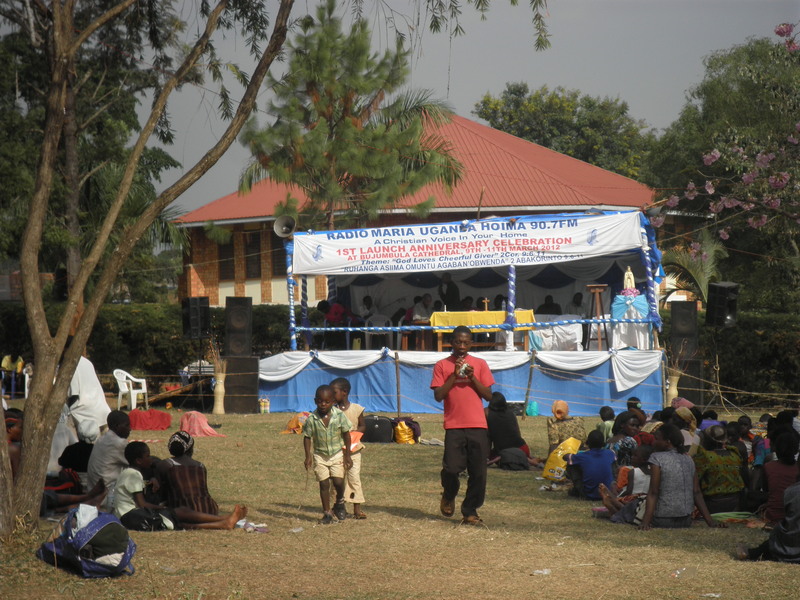 Radio Maria, “a Christian voice in your home” was officially launched in Hoima Diocese in June 2009. It is located in Hoima municipality, behind centenary bank, Kafu road, Kiryateete zone. Radio Maria Uganda Hoima is one of the 9 sub-stations of Radio Maria Uganda network with the national headquarters located in Biina Mutungo, Kampala. The other Radio Maria sub stations or branches are: Mbarara, Mbale, Nebbi, Gulu, Moroto, Kabaale, Fort portal (booster station) and Masaka (booster station). Radio Maria Uganda is part of the big network of the World Family of Radio Maria. This radio is non commercial and it is a listener supported apostolate. It is worth noting that Radio Maria has as its main objective to evangelize its listeners. Its daily programming has four main components namely; prayer, catechesis, promotion, and human development programs. At the heart of prayer is the Holy Eucharist which is celebrated every day at 7.00am at the station with the participation of a live congregation from all faith groups. • The end of year prayer crusade. Staff prayers and business meetings are held every Monday by the ordinary staff for weekly activity evaluation and planning purposes.